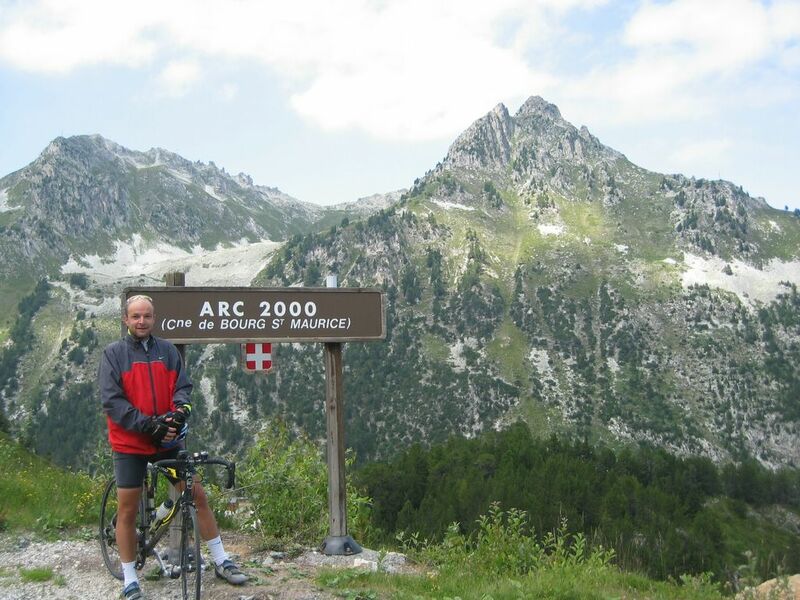 A 25 km climb to Les Arc 2000 ski station – which for some reason is at 2,150 metres and not 2,000. High in the French Alps near Bourg St. Maurice, this climb is long but not too steep – mostly 4% to 6%. Still, 25kms meant 1,350 metres (+4,000 feet) of climbing. Felt strong and enjoyed the great views into the valley below.